America, my parents would tell me when I was little, is a place of hope, a place where I could achieve my dreams and be whatever I wanted to be. Their dream for our family was behind the decision to come here from Mexico when I was just 10 months old. Parents, no matter their backgrounds and specific stories, always want the best for their children.It is from my parents that I learned the value of hard work. Both of them are paid minimal salaries and work 2-3 jobs each. They often come home exhausted but before the sun is up, they are back at it again, working to provide for us. There have been nights where we all split one meal, and I am reminded of my parents’ great sacrifices to lift our family out of Mexico. In school, I often felt “bad different” for being undocumented. But I eventually forged friendships that have lasted, and gave me faith that I could overcome the unfounded criticism of others. In high school, I was part of the math club, and volunteered with various community organizations. I found out about The Dream.US during a college fair at my school, and my immigration lawyer gave me more information. Thanks to DACA and TheDream.US, I am able to attend college and see my dreams, and those of my parents, come to fruition. America, while a land of opportunity, is also a place of exclusion at times. Like any place, it’s not perfect. But this is my home now, and I love it in spite of its imperfections. 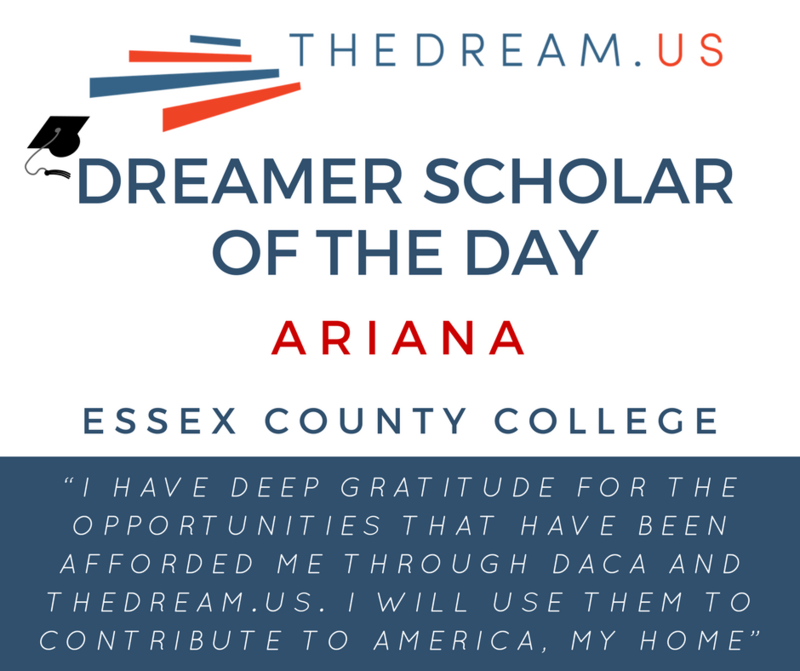 I would love for other DREAMers to know that they are strong, and worthy of an education. But they must stay the course and keep hope, because the journey will seldom be easy. I have deep gratitude for the opportunities that have been afforded me through DACA and TheDream.US. I will use them to contribute to America, my home.